Content marketing is a fresh approach to marketing in a world where people are becoming more resistant to advertising. If you think about it, traditional advertising is usually a distraction from other content – a TV commercial that interrupts your favourite TV show or a pop-up advert that stops you reading that fascinating news story. With content marketing, you provide the content rather than the interruption, getting your customers’ full attention instead of trying to distract them from something else that they really want to do. The simple definition of content marketing is that it’s the creation of valuable content that is relevant to your specific audience and can be posted online, enabling your customers to access it and share it with their social networks. Content can be posted on your own blog, on social media sites such as Facebook, Twitter and Pinterest, or on video sites like YouTube. Your content shouldn’t be a blatant sales pitch for your business, but should provide value to your audience, engaging them and encouraging them to share. In fact content marketing has more to do with PR than with direct marketing. So, what counts as valuable, relevant content? There are a huge variety of content types you can create including blog posts, images, photos, videos, infographics, polls or surveys, podcasts, and how-to guides. A dance teacher could put together a simple video tutorial showing couples how to waltz their way through their first dance, a wedding florist could write a how-to guide for making centrepieces, and a photographer could run a poll to discover the most iconic wedding shot. The type of medium you choose is less important than what it is designed to do. 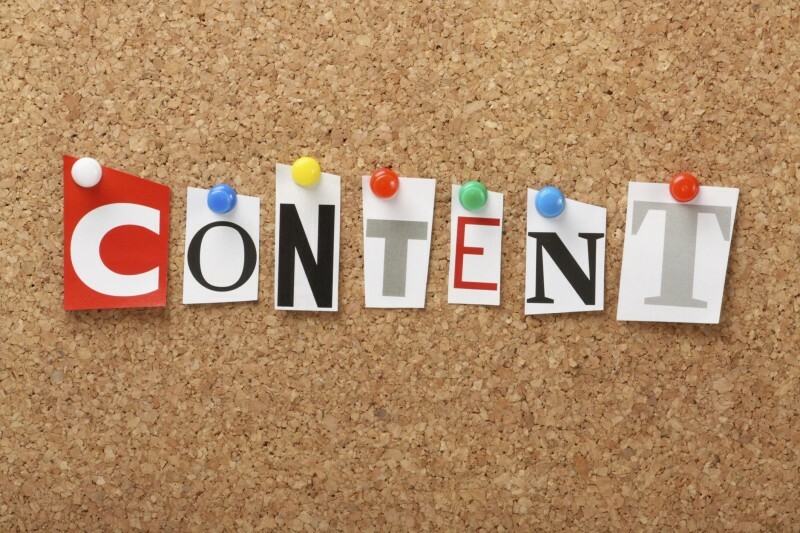 Your content should be entertaining, interesting, or useful – if possible all three. You want to give your audience something really worthwhile that they will benefit from and will be willing to risk their reputation on by sharing it with their social networks. Make them laugh, surprise them, or pass on a gem of knowledge that will make their lives easier. Valuable, relevant content might not lead directly to sales, but it will help you to build up brand awareness, recognition, affection, and loyalty, which may well result in conversions further down the line. Content marketing is particularly effective for the wedding industry because couples who are planning a wedding will be very receptive to high quality wedding related content. They might not be ready to make a booking or place an order the first time they see your video or read your blog, but if your content is memorable enough you can be sure you’ll be the one they think of when they do get to that stage. It’s low cost: Creating great content doesn’t need to be expensive and posting it is free. It starts conversations: You’ll never run out of things to talk about on Facebook again. It creates leads: Although content isn’t designed to drive sales it will introduce new customers. It keeps customers: Remind your existing customers what’s so great about your business. It’s great for SEO: Search engines naturally reward great content with better search rankings. Content marketing is all about putting the customer first and giving them something they’ll find useful or enjoy. It doesn’t matter what type of content you use for content marketing, just remember that your goals are customer engagement and sharing, not sales. Use valuable, relevant content to build up brand awareness, loyalty, and affection, and conversions will follow naturally.